Thoughts and Reviews of Almost All Things Star Wars, and Other Things That Strike Our Fancy. We define the Prequel Trilogy Era as the time period just before, during, and just after the years in which the prequel trilogy films, The Phantom Menace, Attack of the Clones, and Revenge of the Sith take place. For all the adventures in the Star Wars Prequel Trilogy Era and the order they take place, just scroll on down! Darth Maul (Comic Book): Darth Maul’s second miniseries, written by Cullen Bunn with pencils by Luke Ross, is the examination of Darth Maul’s character unavailable in the limited time of The Phantom Menace. While Maul later returned in The Clone Wars, he was never the same (as being severed an half is wont to do) and in Darth Maul fans of the red faced Sith have the opportunity to meet the Dathomir warrior in his prime. 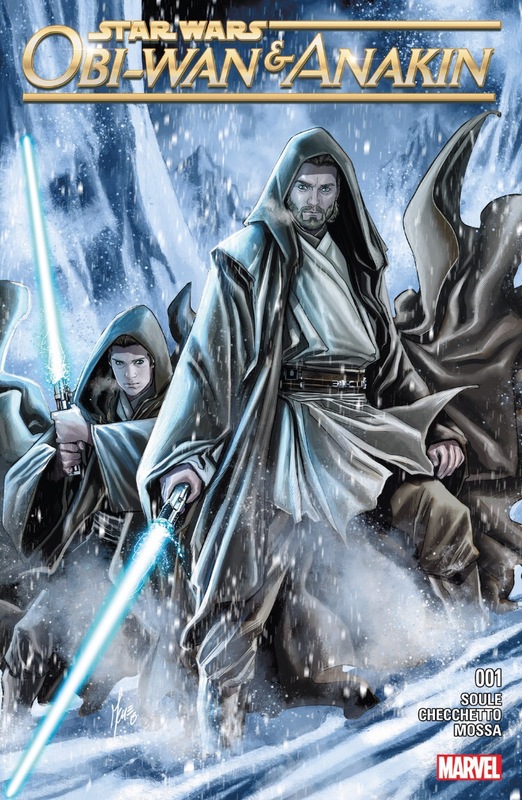 Obi-Wan and Anakin (Comic Book): The Phantom Menace concluded with Obi-Wan Kenobi taking on the task of training young Anakin Skywalker in the ways of the Force. Charles Soule teams with Marco Checchett, as writer and artist respectively, to provide a glimpse of that training a few years later, using flashbacks in the midst of a mission to an alien planet to reveal how early future Emperor Palpatine began his corruption of Skywalker and Anakin’s own uncertainty at becoming a Jedi. The Clone Wars (Television): Debuting in 2008, The Clone Wars revolutionized what Star Wars could do on the small screen (similarly to its now non-canonical predecessor of the same title) in terms of animation and storytelling. The show followed the adventures of Anakin Skywalker and Obi-Wan Kenobi, as the Republic engaged in a galactic battle with the Separatists for the fate of the galaxy. The show also introduced major new characters such as Ahsoka Tano, Captain Rex, and Asajj Ventress, while also bringing back Darth Maul and providing additional depth to the characters of Padme Amidala, Count Dooku, and General Grievous. Cancelled after Disney acquired Lucasfilm, The Clone Wars established the blue print for animation and storytelling for Star Wars Rebels to follow. Mace Windu: Jedi of the Republic (comic): A five part miniseries set during the Clone Wars. Windu with a select team of Jedi are sent to uncover Separatist activities on a distant planet and find themselves dealing with droids, droids, and more droids and a mission to save the planet’s inhabitants from total destruction. In the midst of it, Mace finds a long time Jedi friend questioning the role of the Jedi in the Clone Wars. 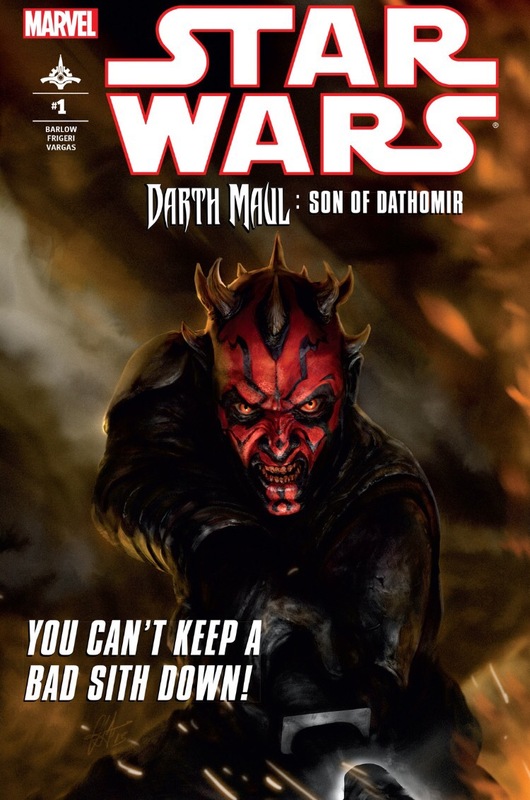 Darth Maul: Son of Dathomir (Comic Book): A four issue miniseries based on planned episodes from The Clone Wars, Darth Maul concludes some of the story of The Phantom Menace Sith, Darth Maul, and completes the fall of the Nightsisters that began in the television show. Written by Jeremy Barlow with art by Juan Frigeri, it’s a must of fans of The Clone Wars who want more closure on the show that ended prematurely. Dark Disciple (Novel): Of the scripts and story ideas leftover with the cancellation of The Clone Wars, two characters were intended to have major story arcs, Asajj Ventress and Jedi Master Quinlan Vos. Author Christie Golden was handed the opportunity to bring those scripts and story treatments to life in Dark Disciple, which completed the character arc of Ventress and examined the dangers of the Dark Side. It does so with a story of Quinlan Vos being assigned the task of assassinating Count Dooku and seeking out the help of Ventress to do so. Catalyst (Novel): Few things loom larger in the Star Wars franchise than the Death Star and the idea of planet killing weapons. James Luceno’s Catalyst, a prequel to Rogue One, provides the background of how the terrible laser came into being through the actions of Galen Erso and Orson Krennic. The novel covers approximately four to five years beginning in the last days of the Old Republic and finishing in the era following Revenge of the Sith. Darth Vader (comic): Not to be confused with Darth Vader, which told the story of Darth Vader following the destruction of the Death Star in A New Hope; this similarly titled series tracks the Sith Lord’s adventures not long after the events in Revenge of the Sith, as he hunts down surviving Jedi and furthers the expansion of his master Palpatine’s empire. Kanan (Comic Book): Initially just a five issue miniseries labeled Kanan: The Last Padawan, the title was later expanded to a full twelve issue run about the past of Star Wars Rebels‘ Jedi, Kanan Jarrus. Written by Greg Weisman with art by Pepe Larraz, the series follows Kanan’s life before and after Order 66, which set the Clone Army of the Republic to virtually wipe out the Jedi Order. The stories, framed with scenes from the present of Rebels, reveals how Caleb Dume became Kanan Jarrus. Ahsoka (Novel): Introduced in The Clone Wars and ever since beloved by fans of the show, Ahsoka Tano’s story from the end of that television show to her reappearance on Star Wars Rebels, had one large gap inbetween. E.K. Johnston with input from Ahsoka’s creator, Dave Filoni, provides that background of what happened to Ahsoka after Order 66 and how she became Fulcrum for the rebellion against the Empire.